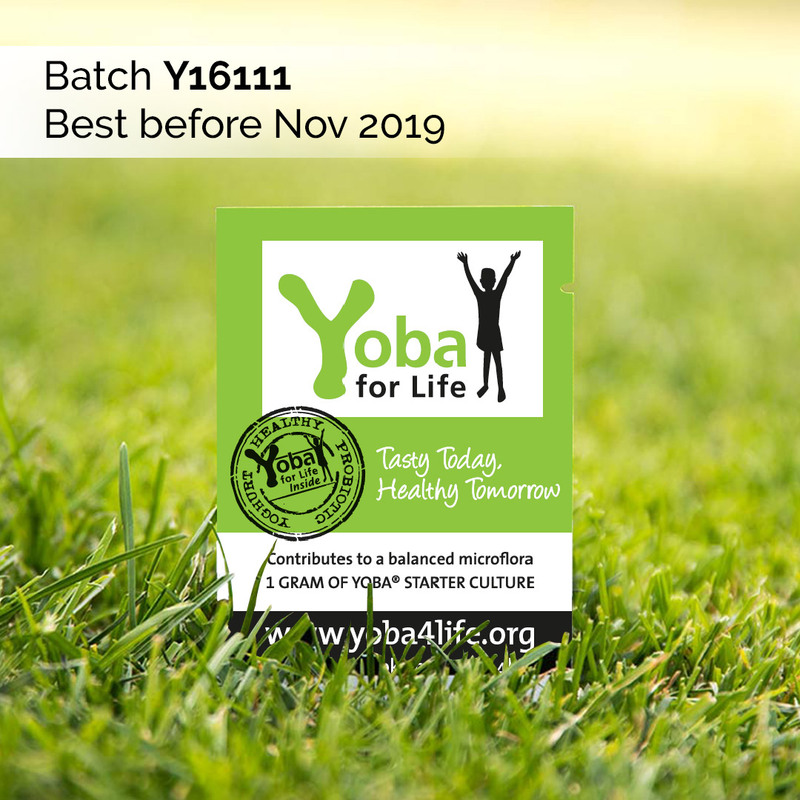 All batches of Yoba starter cultures contain the same Lactobacillus rhamnosus yoba 2012 probiotic strain. 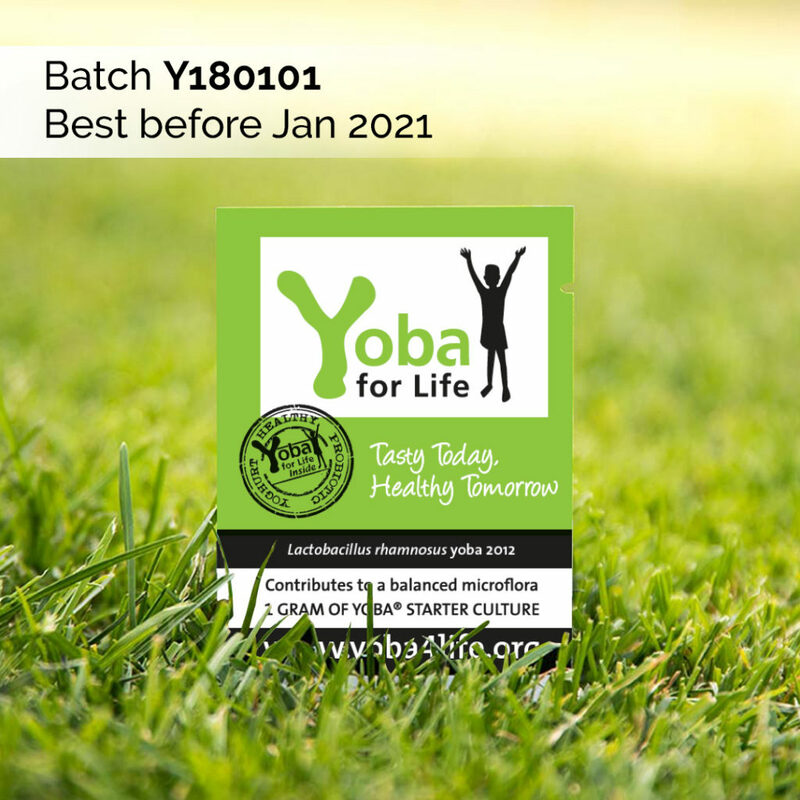 One gram of starter culture can be used to produce up to 100 liter of probiotic Yoba yoghurt. 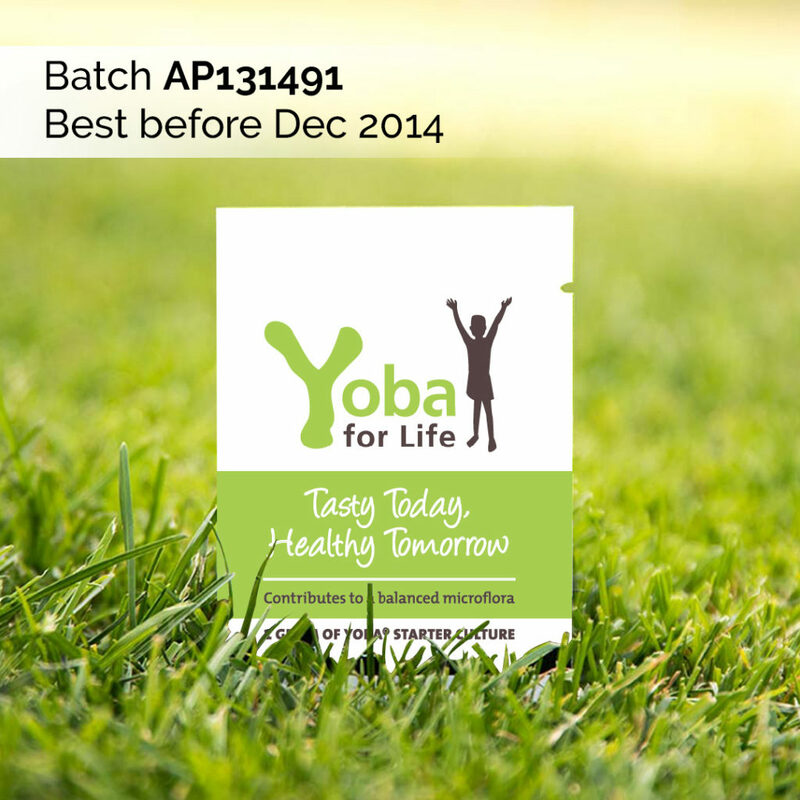 Best before date is granted when stored at refridgeratedor frozen temperatures. 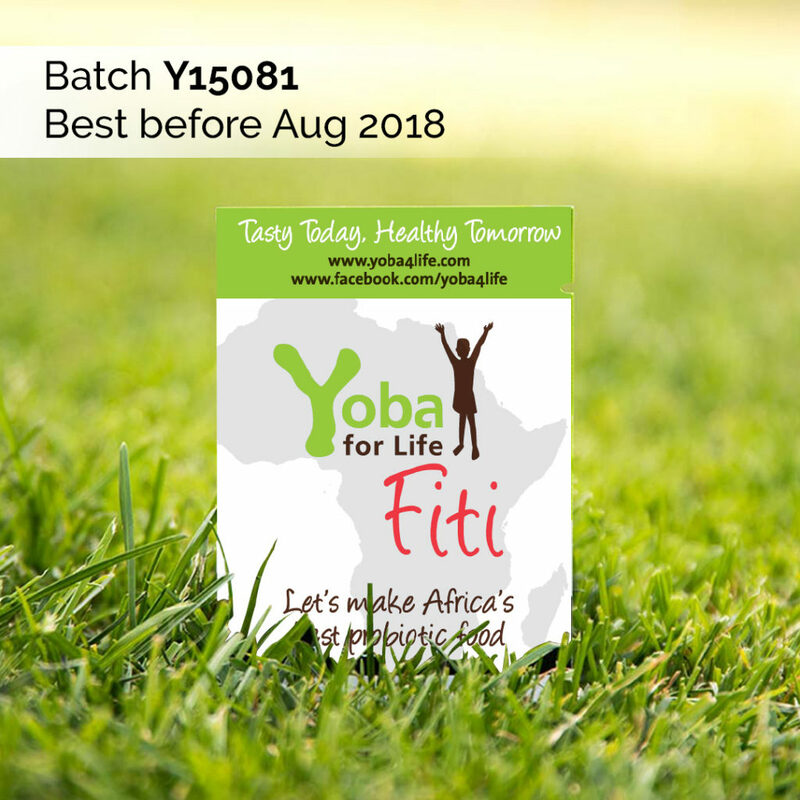 Short term exposure to room temperature will not affect the culture activity.